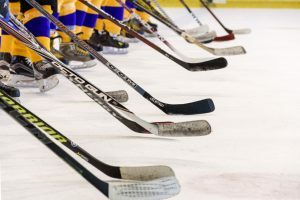 Several local hockey teams won provincial titles over the weekend as part of Hockey Nova Scotia’s Day of Champions in Truro. In the Bantam A Female Hockey Final, the Antigonish Bulldogs blanked Western Riptide 5-0. Julia MacDonald had a hat trick for the Bulldogs, with singles from Kaylee Connors and Mairinn Kennedy. Gracie Chisholm posted the shutout in nets. In Midget A Boys Final, the Pictou County Crushers won the provincial crown, downing the South Shore Lumberjacks 6-2. Several other Pictou County Teams were also in provincial finals. The Pictou County Crushers fell to the TASA Ducks 9-2 in the Bantam A Boys title game, and Pictou County Crushers lost to the Yarmouth Mariners in the PeeWee A Boys Final 9-2.